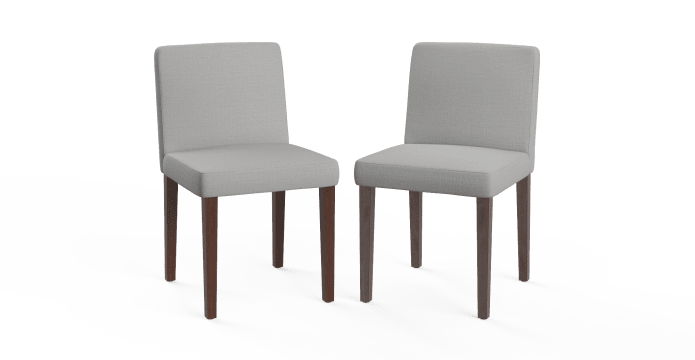 With the Jesper 2x Dining Chair, the generic dining chair has been revamped. It's extra sophisticated and extra stylish. Lush fabrics are paired with beautiful timbers. Giving your dining room that unique designer touch. The chair features elegantly long timber legs, carved from solid dark brown Beech. With a clean and refined look. The frame is strong and sturdy, built from solid timbers. Explore more dining chair designs from our collection. With it's medium density foam filling, the Jesper is oh so comfortable. Perfect for extended dinner parties or long family dinners. The upholstery is our Signature Premium range and comes in a spectrum of delightful colours. Like the rest of the Jesper collection, minimalism is the champion theme. Uncluttered with no distracting embellishments, it's simple design at its best. See the Jesper Dining Chair with Armrest to complete your dining set. Very happy with my purchase and how easy it was to purchase and the delivery process. Good service and product at a reasonable price. Choice and quality is excellent. Beautiful chairs,excellent quality,couldn't be happier. The quality of the product and the ease of assembly. See, touch and feel our fabrics used on our Jesper 2x Dining Chair. For Free! Simply select up to 3 fabrics and add them to your cart. Delivery is on us. Good news! 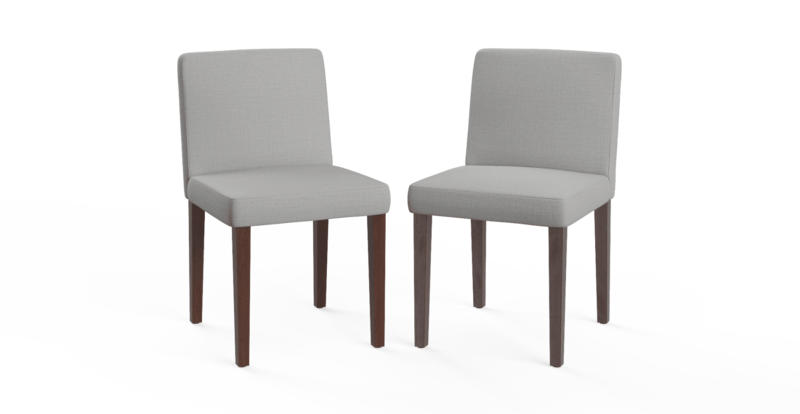 Jesper 2x Dining Chair is currently on display in our Alexandria Collingwood studio.